Businesses are looking forward to the August 13 announcements by the Commerce Department after economists report their expectations that the economy has gained momentum again in July, following three consecutive months with better figures. A survey of 64 industry leading economists, conducted by Bloomberg, indicates the economy is finally beginning to overcome the obstacles imposed with higher tax rates and federal budget cuts. Purchasing has seen a gain of .3 percent in July, following the June increase of .4 percent. Other gains were evident in manufacturing, residential construction, and in consumer prices. Employment gains have upped household wealth, and a higher income level has boosted consumer spending, leading to a gain in the stock prices. These factors, combined with low loan costs, have driven vehicle sales for U.S. automakers General Motors and Ford Motor Company. In turn this has led to an increase in industrial production. 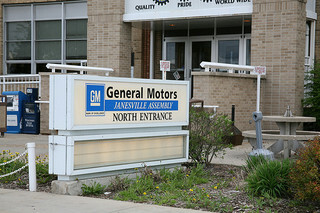 Automakers are expecting the best sales year since 2007, with sales set to reach 15.8 million, according to Autodata Corp. General Motors, Ford, Chrysler Group, and Honda Motors are all boosting production capacity, with Chrysler set to add 300 jobs at its Michigan factories, while Honda is investing an additional $215 million in its Ohio facilities. Brian Jones, the senior U.S. economist for the New York based Societe Generale, expects the second half of 2013 to see even more growth that the first half of the year, and hopes that a greater income for Americans leads to more spending, further boosting the economic gains. The labor market is showing gains as well, as the jobless rate fell to 7.4 percent, the lowest since the end of 2008, and .4 percent lower than the end of 2012. Furthermore, the Tuesday announcement from the Commerce Department should include good news for the industrial sector, the housing sector, and gains in consumer spending.